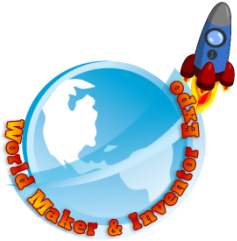 *You must register on the competition page prior to submitting your invention below. Note: Your file must be an original .stl 3D file that you created. You cannot use or modify a file that you found on the internet or obtained from another person. Be sure to read the competition rules on the competition description page. Upload your invention as a 3D model file (.stl) using an app such as Tinkercad, Autodesk or Sketchup. Please describe your invention in less than 100 words.